As imaging technology has continued to evolve, medical facilities continue to use ultrasound to replace more invasive, costly procedures. Ultrasound is often less expensive than other imaging technologies and is often used as a first-line tool for diagnosis. Third-party payers encourage the use of these noninvasive measures over invasive ones in order to save on costs. Diagnostic medical sonographers and other diagnostic imaging personnel will continue to be needed in health care settings to provide an alternative to imaging techniques that involve radiation. 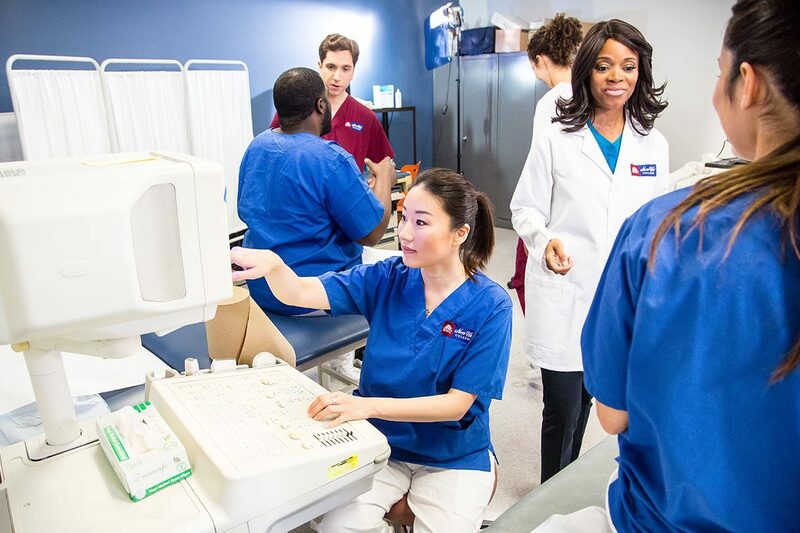 The Diagnostic Medical Sonographer (Ultrasound) program at North-West College trains students to develop the skills needed to perform diagnostic studies on patients using ultrasound equipment for diagnosis and interpretation by a physician. Employment of diagnostic medical sonographers is projected to grow 23 percent from 2016 to 2026, much faster than the average for all occupations. As the large baby-boom population ages, the need to diagnose medical conditions—such as blood clots and heart disease—will likely increase. Imaging technology is a tool used in making these diagnoses. Diagnostic Medical Sonographers (also called Ultrasound Technicians) operate special imaging equipment to create images or conduct tests. The images and test results help physicians assess and diagnose medical conditions. Some technologists assist physicians and surgeons during surgical procedures. Preparing patients for procedures by taking a patient’s medical history and answering any questions about the procedure. Preparing and maintaining diagnostic imaging equipment. Operating equipment to obtain diagnostic images or to conduct tests. Reviewing images or test results to check for quality and adequate coverage of the areas needed for diagnoses. Recognizing the difference between normal and abnormal images and other diagnostic information. Analyzing diagnostic information to provide a summary of findings for physicians. Recording findings and keeping track of patients’ records. 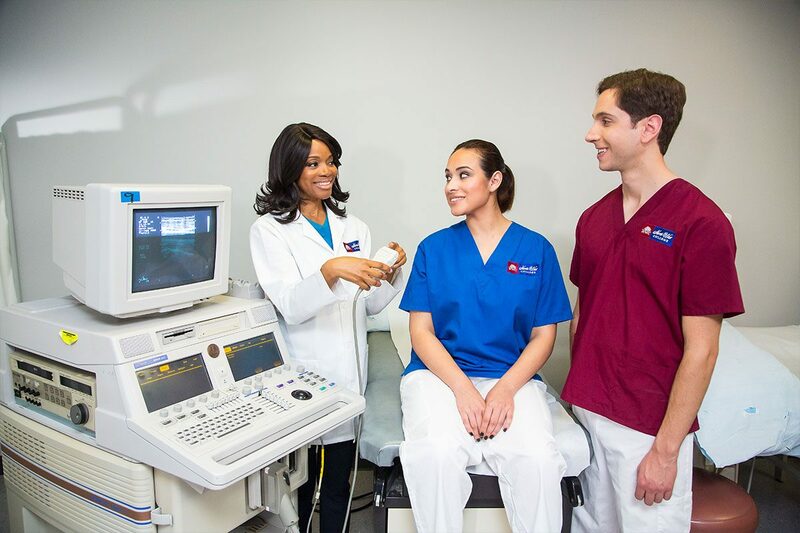 The Diagnostic Medical Sonographer (DMS or ultrasound) program at North-West College provides students with a balanced education through competency-based training that combines didactic instruction with the demonstration and performance of practical skills. 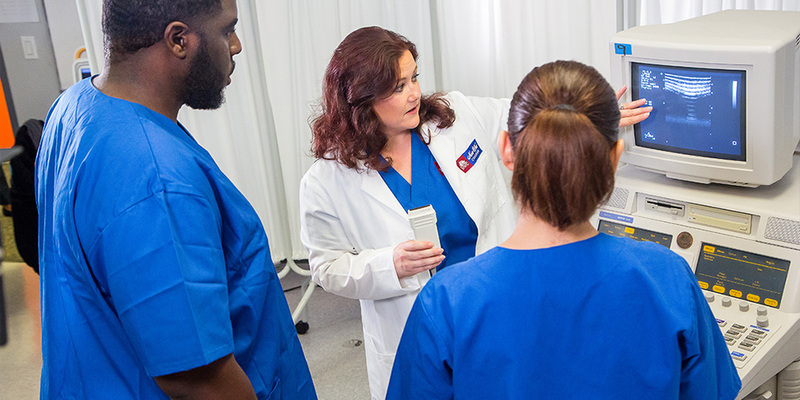 Graduates from the DMS program have the technical knowledge and clinical skills necessary for entry-level employment as Diagnostic Medical Sonographers. 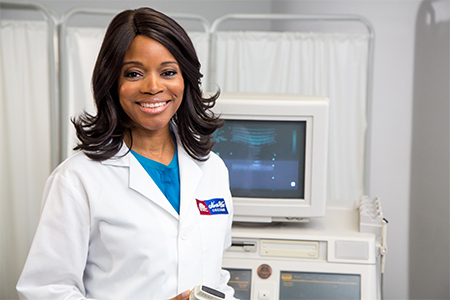 * Bureau of Labor Statistics, U.S. Department of Labor, Occupational Outlook Handbook, Diagnostic Medical Sonographers and Cardiovascular Technologists and Technicians, Including Vascular Technologists, on the Internet at https://www.bls.gov/ooh/healthcare/diagnostic-medical-sonographers.htm (visited March 2019). ** North-West College cannot guarantee employment. 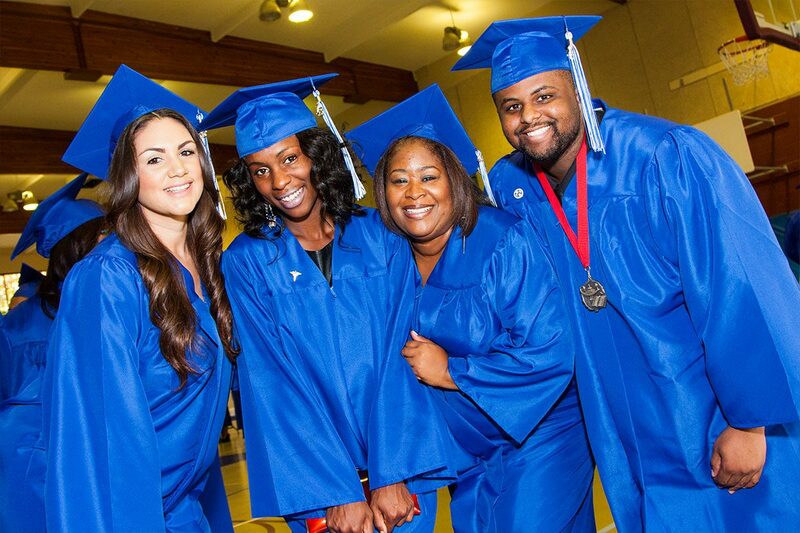 Train at a campus near you!